Maple Syrup: The “Golden Elixir” of the Great White North? 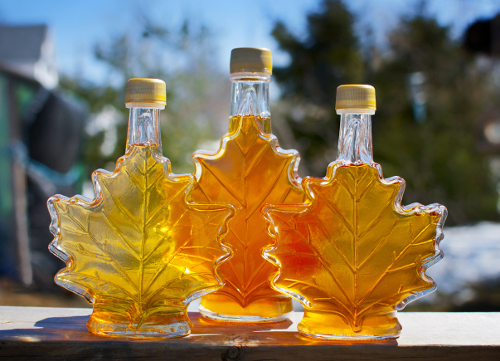 Home » Food and Nutrition » Maple Syrup: The “Golden Elixir” of the Great White North? If you’ve ever thought about heading up to Canada, I’d advise making a trip to Ontario or Quebec anytime from mid-March until about late April. Why? It’s prime-time maple syrup season…and that liquid gold won’t only tantalize your taste buds, it might do your body good, too. How can this sugary syrup do anything for your health that doesn’t involve gaining weight, boosting blood sugar, or enticing you to make some bad dietary choices? Well, according to some preliminary research from McGill University in Montreal, it may supercharge the effectiveness of certain medications—particularly antibiotics. The research—conducted on fruit flies (like I said, it’s preliminary)—showed that maple syrup extract allowed for greater penetration of cell walls, allowing for much greater effectiveness of administered antibiotics. The researchers noted that taken with the extract, only 10% of a regular dosage of an antibiotic was required to effectively kill off infection. Not only does the extract appear to increase the potency of antibiotics, but it also appears to disable “pumps” inside cells that would typically push out antibiotics. In the tests, flies that received the maple syrup extract mixed in with their antibiotic fought infection faster and went on to live longer lives than their counterparts that didn’t receive the extract. It will be interesting to see if—and how—these results translate to humans. Now, to some, “antibiotics” is a bad word. But the truth is that they are effective and, in some cases, completely necessary. The problems with antibiotics arise when they are prescribed too often. Too many cycles of antibiotics can remove “good” bacteria (gut flora) along with invaders by effectively acting as a carpet bomb. But when taken only when absolutely needed for conditions that cannot be treated any other way, you will likely be fine. Just don’t ask your doctor for them, especially if they aren’t required. Maple Syrup: A New Natural Remedy? Maple syrup has long been recognized for its healing properties by the Aboriginal peoples in Canada. And now the nutrient-dense natural sweetener may be at the center of the fight against “superbugs” in the future. But don’t worry; if you can’t get up to Canada, about 65% of Canadian maple syrup makes its way down to the United States. “No more ‘superbugs’? Maple syrup extract enhances antibiotic action,” American Chemical Society, April 2, 2017; https://www.acs.org/content/acs/en/pressroom/newsreleases/2017/april/no-more-superbugs-maple-syrup-extract-enhances-antibiotic-action.html, last accessed April 20, 2017. “The most Canadian scientific discovery ever,” CBC News, April 8, 2017; http://www.cbc.ca/radio/quirks/photographing-a-black-hole-the-curse-of-the-monkey-god-and-as-canadian-as-1.4060794/the-most-canadian-scientific-discovery-ever-1.4061050, last accessed April 20, 2017.